My first being 'Wraps', my second favourite word is 'Lunch Prix Fixe'. With two so close by me, I don't make very frequent visits to them at all. 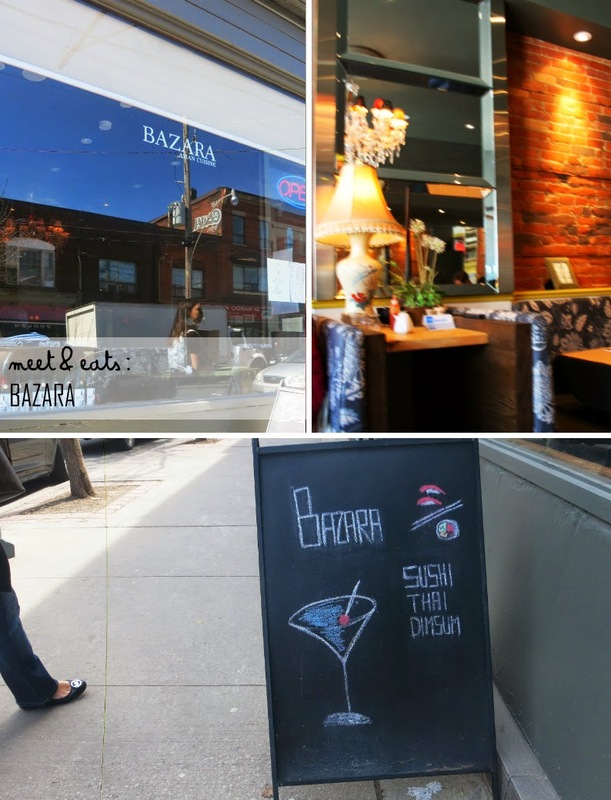 My first pick has always been Libretto Pizza by Dundas and Ossington, the new winner, and change up from the consistent Italian flavours, is Bazara - just across Libretto, with their nicely done Asian Cuisine. 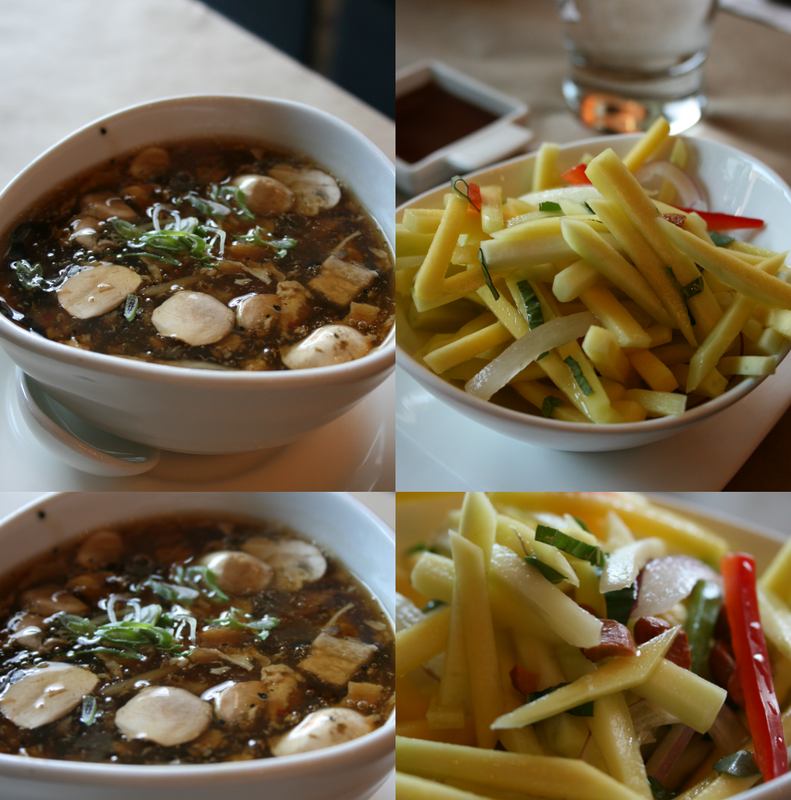 I am one of the odd ones that does not appreciate a Hot and Sour Soup - but my sister found this to be a delight and has ordered it at each of her visits. 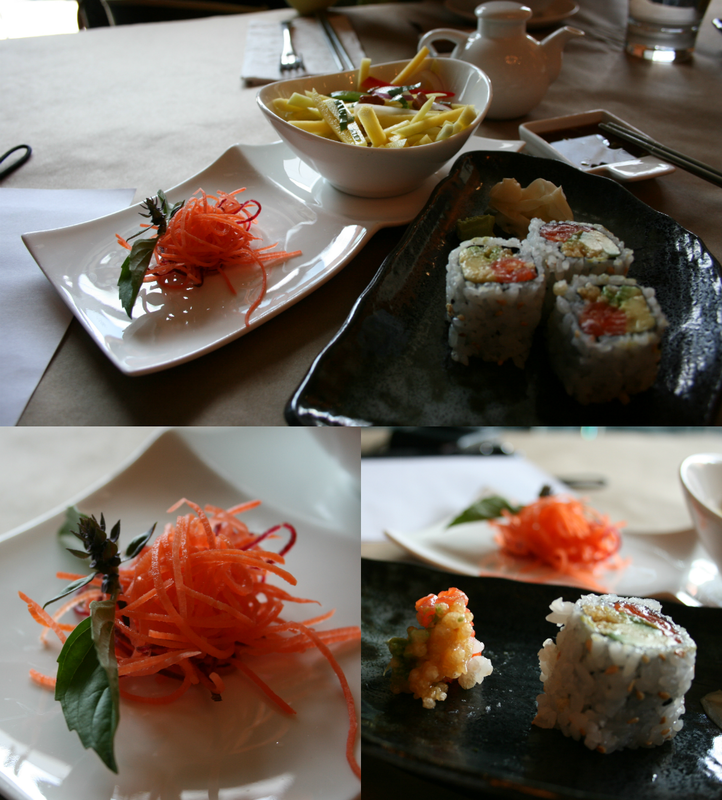 The Thai Mango Salad is very refreshing and a nice way to start off the three course meal. 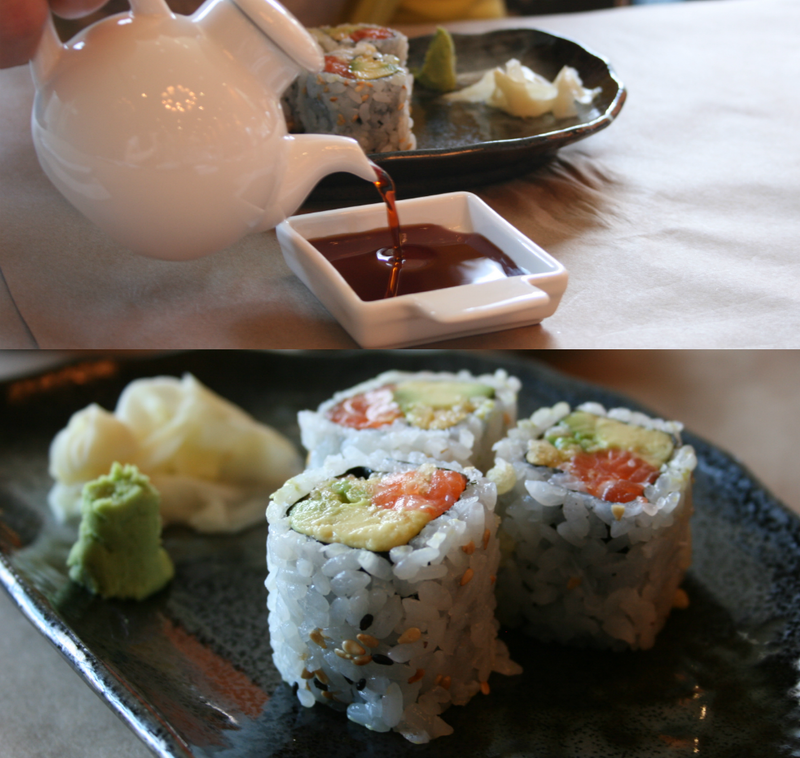 Soy Sauce is served from a Teapot - I really like the presentation here! 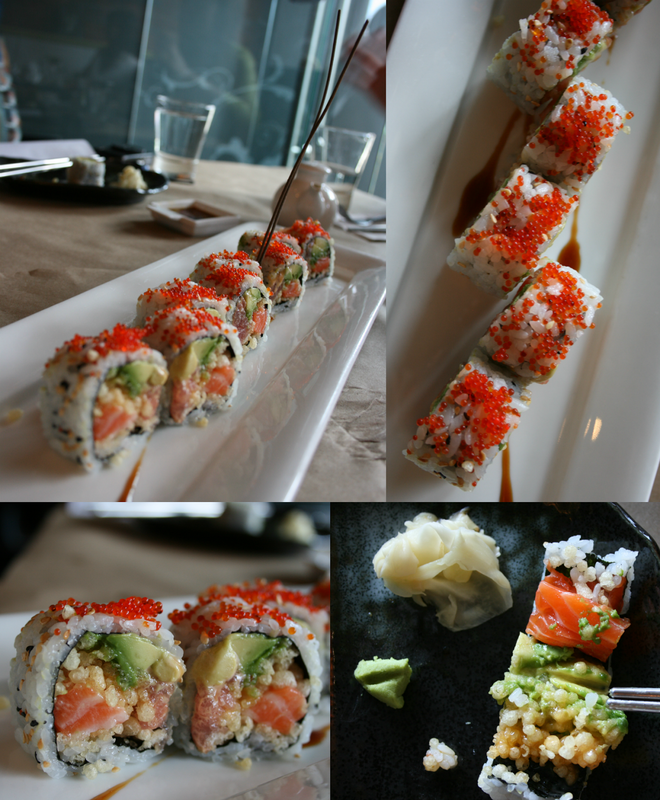 The Spicy Salmon Roll was very tasty and fresh. The Tempura bits were also over-sized and had be reminiscing of Rice Bubbles, this should be any restaurant's standard for adding Tempura bits! They were a real charm. Hold up. This was spectacular! 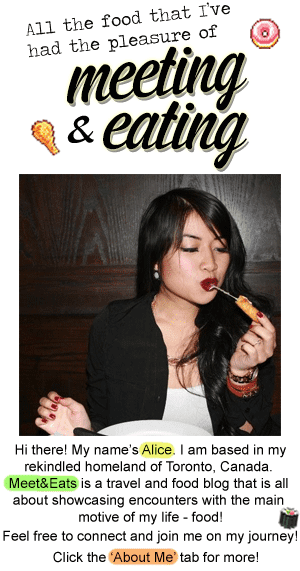 Beef that has been marinated, deep-fried, and drenched in another helping of sweet sauce. 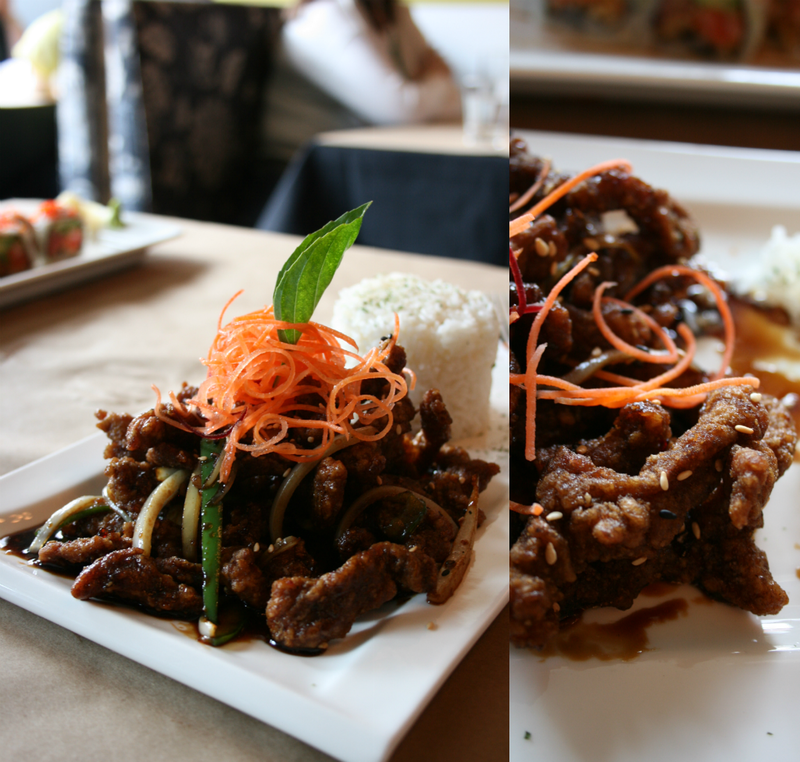 The Spicy Crispy Beef was very addictive, I guiltily restricted myself from eating so much of it. There was a small amount of rice sprinkled with Seaweed flakes, but the amount was perfect in assisting my portion-control... Hardly Spicy, but I don't believe that it needed it anyway.